Can I add more solar panels to my solar power system? And the answer to that question is it depends, maybe. 1. Have you extra unshaded room on the roof for additional panels, facing the correct way? 2. How many solar panels do you have & what make and model are they? 3. What make & model of solar inverter do you have? 4. What feed in tariff are you on? Without the first 3 questions being answered we cannot, and I repeat cannot tell you whether you can add additional solar panels or not. Lets look at how you can find the answers to these questions and what your findings will mean. This one is pretty simple, and the answer is determined by the size of your solar power inverter and the amount of extra solar panels that you want to install. Generally on smaller inverters (2-3kW or below) any additional solar panels will have to go on a roof facing the same aspect as the existing solar panels, and it’s important that this roof is unshaded. Most people aren’t aware of the fact that solar power systems usually have the solar panels wired in “series”, which means they are all connected in a daisy chain together. The problem with this method is that every solar panel connected in series will work at the voltage output of the lowest producing solar panel, so it’s very important that each solar panel connected in series is doing the same thing! Hence the important point of having all the solar panels facing the same way and in locations free of any shading. As I said this is a very “general” requirement, we will confirm the requirements with the information gathered from the next two questions. 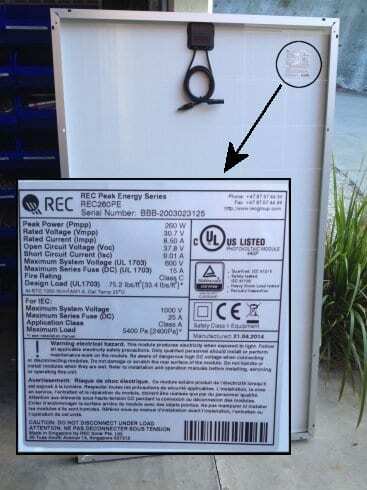 The specifications of a solar panel can usually be found on a data label on the back of the panel like the REC 260W solar panel above. When adding additional solar panels it is extremely important to know the electrical characteristics of your existing panels. Depending on the documentation provided when the original solar panels were installed you may have the first 3 points on file for easy reference. Usually if we have the first 3 points we can quickly work out the last 2 points. If you can’t find this data on file the solar panel information can usually be found on a data label underneath each solar panel. This isn’t the easiest place to access as it requires getting on the roof and underneath a solar panel – we find that taking a photo of the data label with a smart phone held underneath the panel is the easiest method. The electrical characteristics of the existing solar panels are very important to ensure that we can specify additional solar panels that match the electrical characteristics of the existing. If solar panels with different electrical characteristics are added to your solar power system it can potentially make your solar power system perform worse than it did before! 3. 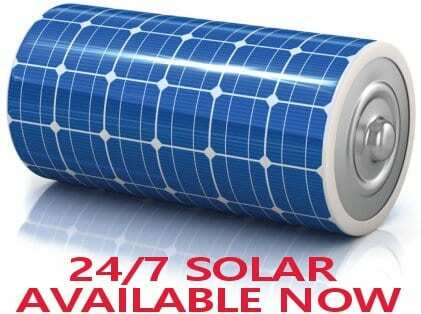 What make and model solar inverter do you have? 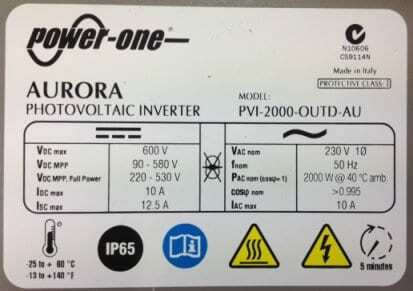 Aurora 2kW inverter data plate – any additional solar panels connected to this inverter must maintain the system within these parameters. How many additional solar panels you can add to your solar power system depends greatly on the solar power inverter you have installed. Solar panels can only be added to the inverter if adding the extra solar panels keeps the voltages and current fed to the inverter within the operating window, or working range of the inverter. To ensure that we provide you with the correct information in regards to how many solar panels you can add to the system we need to know the manufacturer and model number of the inverter. From this information we will be able to see what the electrical characteristics of the inverter are and ensure that any additional solar panels meet the inverters criteria. One thing that a lot of people don’t realise in regards to adding extra solar panels to their system is that the kW rating of your solar inverter doesn’t mean the kW rating of the solar panels is limited to the same. For example a 2kW solar inverter doesn’t mean that you can’t have more than 2kW of solar panels, you can actually claim government rebates on solar panels up to 133% of the inverters rating. That means on a 2kW solar inverter you can claim government rebates on up to 2.66kW of solar panels installed. This is due to the fact that solar panels are rated at what’s called “Standard Test Conditions”, these are laboratory conditions and the conditions found on your roof are rarely as good as the lab! Adding extra solar panels above the name plate rating of the inverter will keep your system working closer to what it’s rated to work at for more of the time – this equates to more power production and savings for you! If you’re connected to this feed in tariff it’s in your best interests to add as many solar panels to your system as your inverter will allow. The more solar panels you have the more power you will produce surplus to your requirements, and you’ll receive the 44c per kWh feed in tariff rate for this extra surplus power. 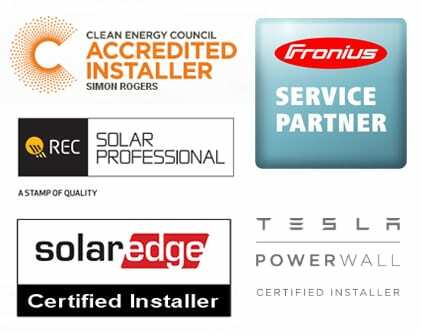 If you’re on this feed in tariff you can add as many solar panels as you like to your existing solar inverter but you cannot install a larger inverter: if you do you will lose the 44c feed in tariff. If you have a small solar inverter and you use heaps of power during the day then losing this feed in tariff may not be a concern; you could put in a larger inverter or an additional system to try and eliminate your day time power consumption. You would lose the feed in tariff but you’re not benefiting from it anyway if you’re already consuming all the solar power you generate. If you’re in QLD and on a feed in tariff other than the 44c net feed in tariff that’s no longer available then you can add whatever you like to your system within the limitations of your existing solar panels and inverter. If you want to replace your existing inverter with a larger unit or add an additional solar power system this will require prior approval from Energex before it can be installed. If you’re on the NSW gross feed in tariff you can’t add any additional solar panels to your system; if you do you will lose the feed in tariff. With approval from Essential Energy you can upgrade the inverter to a larger unit but you cannot add extra solar panels to this system. One thing you can do though is install a completely separate, additional solar power system on a net feed in tariff. This would allow you to keep your gross feed in tariff in place, and you certainly don’t want to lose that! On the NSW net feed in tariffs you can add solar panels and upgrade inverters as required with prior approval from Essential Energy. At Gold Coast Solar Power Solutions we carry a large range of quality solar panels and solar inverters in stock that in most cases will work very well with your existing solar power system. By answering the questions above we can very quickly determine if you can add any extra solar panels to your existing system and provide you with a very competitive price to do so. 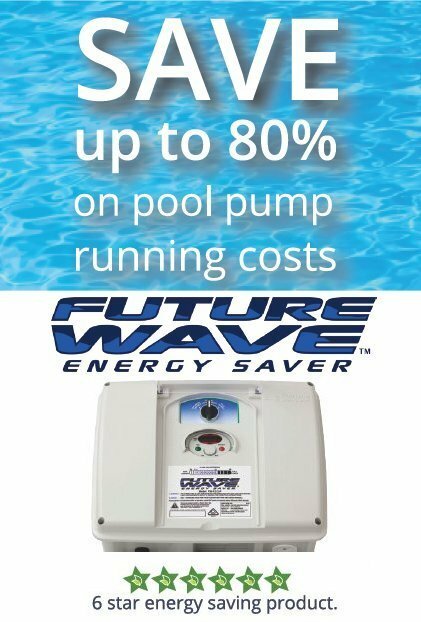 Why not find out how much more you could be saving by adding additional solar panels to your solar power system?